We are offering amf control panel. AMF Control Panel is one of our product which can be used for automatic change over between mains and dg supply. 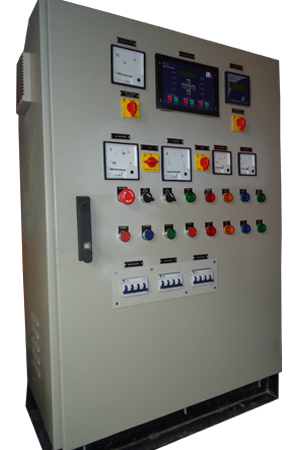 We offer amf panel with necessary switchgears like acb mccb, contactors, amf relay, ac mf meters, dc meters, battery charges etc and necessary protections. By installing this panel one can get power from dg at the time of failure of mains and it will shut off the dg when mains restores. As special features we can provide engine safety features like low lub oil, oil temp. High, charge low etc.